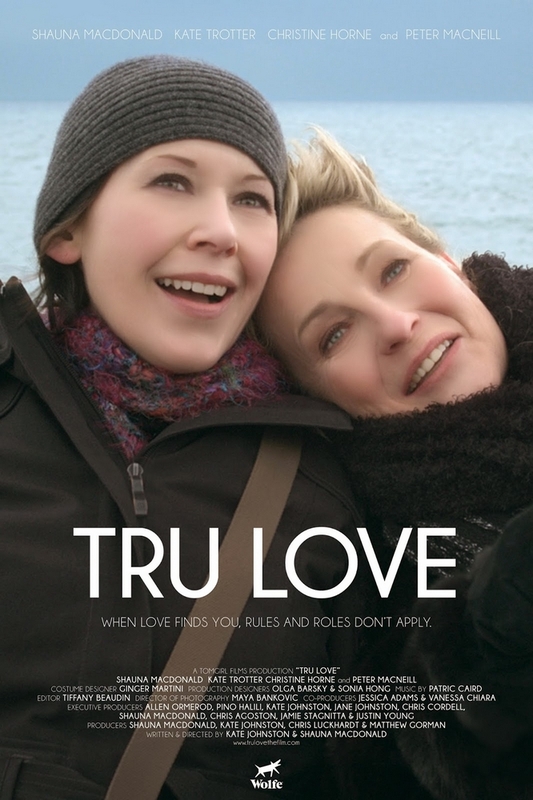 Tru Love is a romantic drama written and directed by the famous lesbian filmmaker Kate Johnston and the talented actress Shauna MacDonald. Tru, 37, is a serial bed-hopping lesbian who cannot commit to a relationship or a job for long… that is, until she meets Alice, 60, a beautiful widow, who has come to town at the last minute to visit her daughter, SUZANNE, 35, a too-busy corporate lawyer and Tru’s friend. Alice and Tru begin to forge an unlikely friendship…and more. Suzanne, who has a deeply conflicted relationship with her mother and a complicated past with Tru, becomes increasingly alarmed at the growing bond between Tru and her mother. Tensions escalate after Suzanne witnesses an intimate moment between them. She tries to sabotage the budding romance, but it backfires, as Tru Love is hard to contain. Tru and Alice are portrayed by Shauna MacDonald and Kate Trotter. A new trailer has been added.